Ailsa has chosen texture this week. I like the different textures of and around this old sewing machine, wood that is decaying, metal that is rusting and stone that is crumbling. I also wonder what stories it could tell us, whose hand has turned the missing handle and how many garments it has helped to create. The photo was taken at Sultanhani Caravanserai on the road between Askaray and Konya, in Central Anatolia, Turkey. I like the new header photo too. Very autumnal!! Great photo. Makes me wonder how old this sewing maching is. @Gilly, this is really an antique ! I would love to know its story. Nice photo for the challenge. What an amazing photo for the theme, Gilly. Love it, and I also love the fact that I an get into your posts once again. 😀 😀 Happy weekend to you. 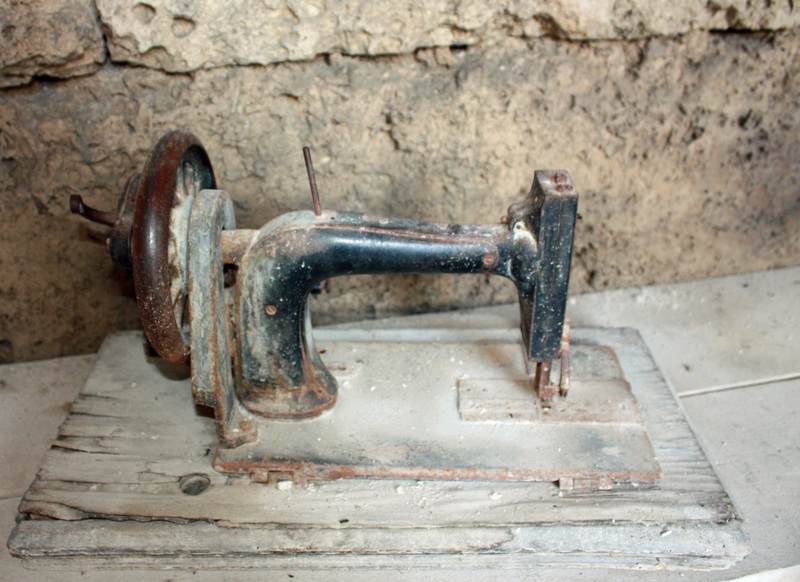 The old sewing machine intrigues me. It seems such a rudimentary version of even the one that my sister-in-law has kept in her house. This one belonged to her grandmother, who lived to almost 100. She was born sometime in the mid-1800’s. I too am curious with what the old sewing machine has to tell us. Imagine how many families it has created clothes and made warm during cold times. It may not be noticeable. But that little bit of blurriness of the cement wall is perfect. Perfect, perfect, perfect! and very important part of someones life. Very nice …!!! !